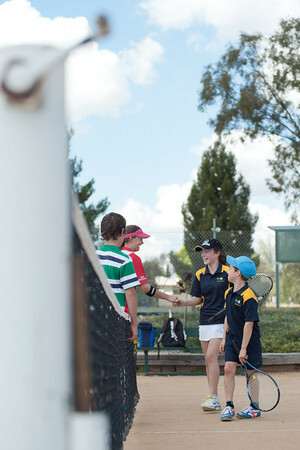 Griffith Juniors excelled in all age groups. Ben Mahlknecht, Airlee Savage were runner up in the 11’s age group. 13’s saw Chloe Whittaker come runner up. with Elise Townsend making the semi’s as well as Jamaine Savage. Nat Gibbs and Charlie Power kept their team mates on their toes in the round robin. Jack Marcus missed out making the semi’s by a game. 15 age group had Annaliese Quarisa and Jaidyn Dickie win convincingly. Alison Triggs lost in a tiebreaker to come third in age group, with Will Townsend also coming third on his sheet. Cooper Savage, Michael Agnew and Jordan Savage continue to impress. A number of the older juniors are bringing their improved tennis skills back to our adult night comp’s. The juniors hard work at squad is showing in the above results. This entry was posted in General Club Info on February 24, 2014 by Cheryl Rawle. This entry was posted in General Club Info and tagged Annaliese Quarisa and Alison Triggs, Binit Shrestha, Cooper Savage, Jaidyn Dickie, Well done to Megan Polkinghorne on January 2, 2014 by Cheryl Rawle. This entry was posted in Juniors, Tournaments and tagged Airlee Savage on August 13, 2013 by Cheryl Rawle. This entry was posted in Juniors on July 15, 2013 by Cheryl Rawle.